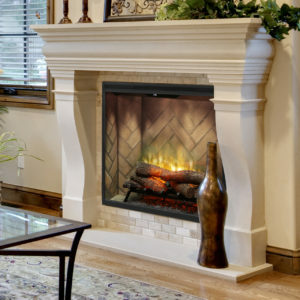 Get the look and warmth of a wood-burning stove without the upkeep of a real fire with the Dimplex DFI400 Opti-Myst Cassette Electric Fireplace Insert. 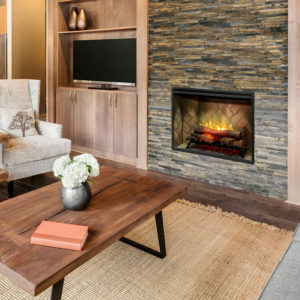 This attractive metal insert can be used with or without a heater (sold separately), which can provide warmth for spaces up to 400 square feet. The stove is vent-free, includes a thermostat, blower, and 6 foot power cord. Each unit is CSA certified for U.S.A. and Canada. The unit plugs into a standard outlet and consumes 1500-Watts/4600 BTU per hour. 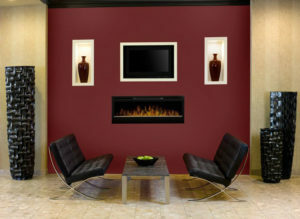 Users will enjoy the realistic flames and the ability to adjust them with the included dimmer.